View More In Collectible Figurines - Page 2. This impressive 73 in. 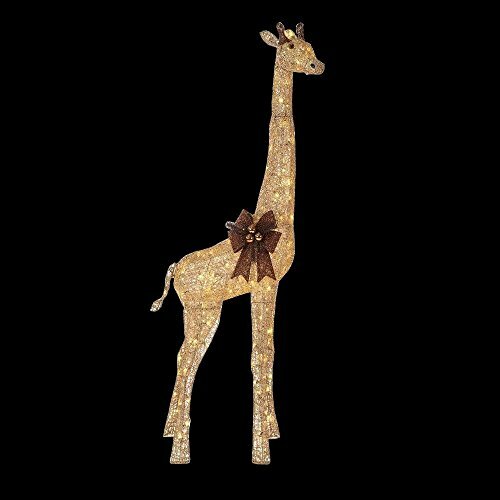 Gold Grapevine Giraffe makes an excellent addition to your nativity scene collection or can be displayed alone. It is constructed with a durable metal frame covered by a gold grapevine to shine both day and night. This display features 160 LED lights expertly arranged on the sculpture to create the optimal lighting effect, sure to illuminate your yard all season long. If you have any questions about this product by Home Accents Holiday, contact us by completing and submitting the form below. If you are looking for a specif part number, please include it with your message.